﻿Michael Carrick could take a step towards a career landmark when Manchester United begin their Premier League campaign at home to West Ham United on Sunday. If Carrick plays at Old Trafford this afternoon he will make one of the 21 appearances he needs to reach 500 in the Premier League. Only 13 players in Premier League history have ever reached the milestone being chased by the former Tottenham Hotspur and West Ham United midfielder, who is currently on 479. 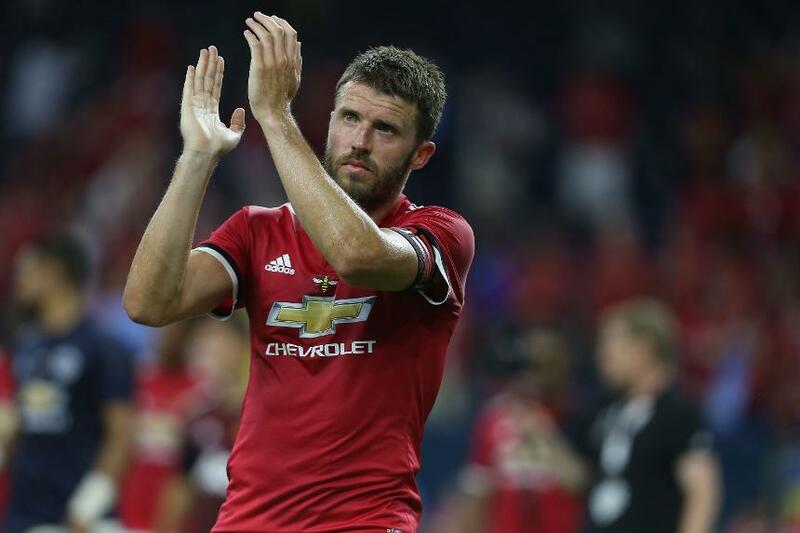 Carrick made 23 appearances last season and has only played fewer than 21 times in a single campaign once since becoming a regular in 2000/01, so the odds are in his favour. AFC Bournemouth's Jermain Defoe is another player who could reach 500 in 2017/18. The Premier League's seventh-highest all-time goalscorer has taken 469 matches to score his 158 goals. Defoe and Carrick trail behind the active player with the most Premier League appearances. That honour belongs to Everton's Gareth Barry, whose 628 matches puts him only four shy of Ryan Giggs' all-time record. Several other players could also reach top-flight milestones, including Leighton Baines (385), Ashley Young (297) and Ryan Shawcross (291).